Here at Spray Clad UK we specialise in Kingspan cladding & panel repairs. 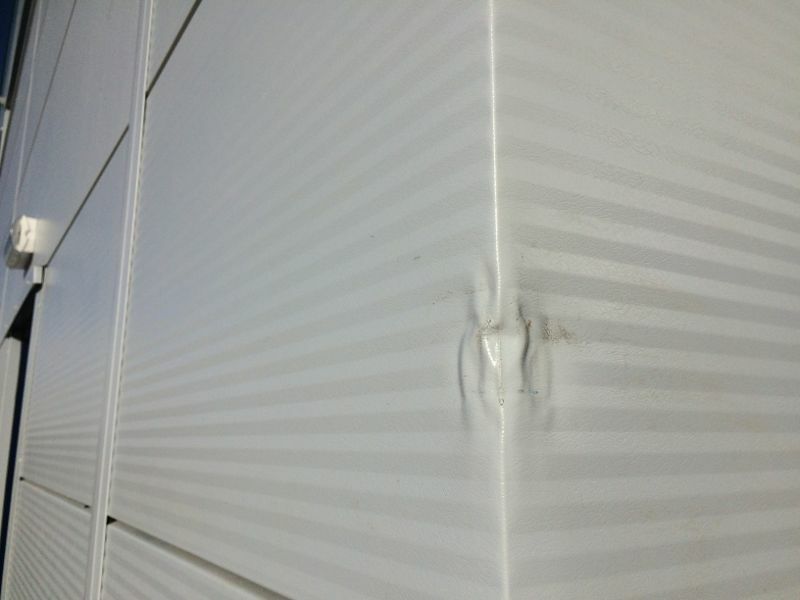 We repair cladding panel defects including dents, fixing holes and scratches. We can offer a full site surveys to establish your specific requirements. We also work with all other cladding manufacturers and can repair any building or panel. Kingspan is one of Europe’s fastest growing building materials manufacturers. Spray Clad UK work closely with them to provide our customers a number of services, approved by this leading manufacturer. We work closely with the biggest companies in the UK and have repaired and sprayed cladding on some of the UK's largest and most well known buildings. As well as Kingspan we repair Alucabond, Eurobond, Euroclad, Tata and Trespa panels. 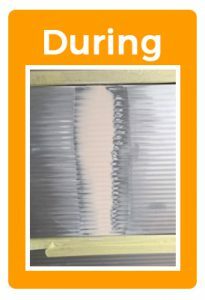 We also have a wealth of knowledge when it comes to repairing and renewing Kingspan clean room panels such as the Kingspan CleanSafe cladding panel range, not only do we have the know how when carrying out cosmetic repairs to these panels, but we have the experience and etiquette when dealing with and executing works within the clean room environment. In general the end-clients that we deal with on a regular basis are involved in pharmaceutical, food and beverage production, laboratories, hospitals, scientific study, government, military and data farms. Not only do we offer repairs to Kingspan cladding panels, but have been involved in many re-spray and coating only projects, so if a building needs a refresh or change of colour we have the perfect application and paint systems in place for an efficient low hassle service. As with many cladding panel manufacturers Kingspan will only produce a certain amount of panels and often enough we have been approached to provide a more economical option of spraying the panels, especially where a building has a limited number of panels in a particular colour such as a feature band of block of colour. We can carry out these works either in situ or within our spray facilities located in house. 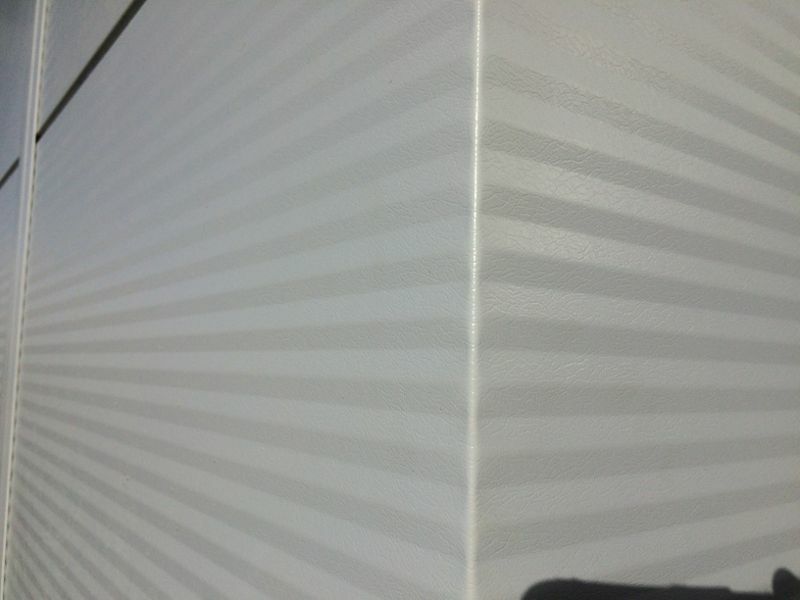 Either way we can provide a quality spray finish to complete / compliment any project. 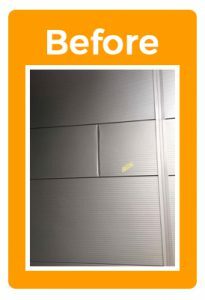 We offer a popular refurb services for cleanroom environments and for older Kingspan clean room panels, whereby we can repair any damages which can compromise hygiene (bacteria being able to reside and populate in scratches and dents), to complement this service we offer an advanced coating system which is not only anti-bacterial but scrubbable and chemical resistant. 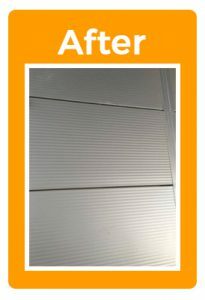 This product can be applied to the panels to complete and refurbish any cleanroom. an individual project basis if required. WARRANTIES AND LIFE EXPECTANCY OF WORKS OF COATINGS TO KINGSPAN CLADDING PANELS. As previously mentioned we work closely with Kingspan to ensure our methology and paint systems are tried, tested and proven, as a result we are happy to offer long term guarantee’s and our aftercare services for up to 25 years in line with that of the actual manufacturer. Please contact us if you would like to know more about about cladding repair services.